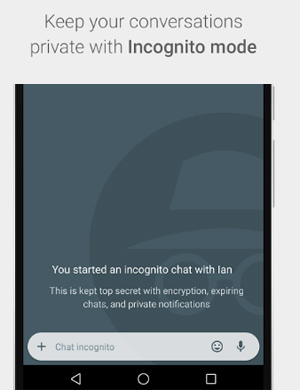 You may have never heard or used an app called Hangouts. It’s essentially what was used for chatting back in the day before WhatsApp and Facebook Messenger came along. It was actually called Google Talk and it was an amazingly simple web based chat app that did its job well. Sort of how WhatsApp does its job elegantly today. Problem is it didn’t evolve when people moved to mobile devices and these newer apps left it in the dust. This is why Google is attempting a comeback with a new app called Allo. 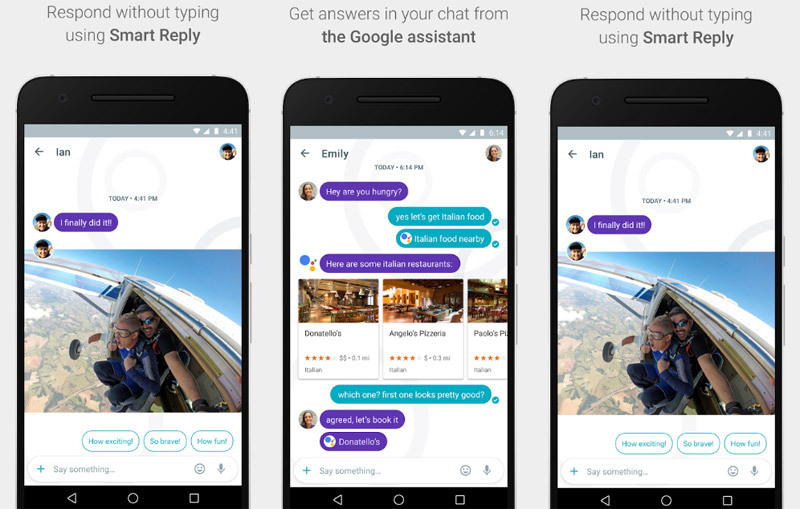 Essentially, Allo is your standard chatting app that works pretty much like WhatsApp especially in the sense that you don’t need a Google account to use it. Your phone number is all you’ll need. Lastly, that AI also has a bot that you can chat with and that pretty much acts as your assistant in other conversations. So for example, your friend says they want to go to a Dembare football match, the Allo assistant can, right there in the chat, tell you where the match is, what time it starts, the traffic situation and other things if you want to join the friend. Well theoretically at least. That last bit about AI that may actually not work for those of us outside markets where Google has a lot of data -US, Europe etc – is what’s underwhelming about Google’s effort. The assumption is that Google is already plugged into what time local football games start, traffic conditions and other such – which current evidence suggests it is not. I’m therefore not sure just how mind blowing Google AI will be. Experience from what’s out there so far makes me believe it’ll be cool but have limited usefulness in everyday life. Add to that the need for Google’s AI engine to understand Zimbabwe style shorthand and local vernacular above (plus shorthand in local vernacular) and the hundreds of other local styles all over the world. You could bring up machine learning yes, but machine learning is at the stage where we’re celebrating early achievements like the Alpha Go match, and robots learning how to pick up objects in a tray (See Google I/O presentation by the company’s CEO). It might be too early to expect a lot on that front immediately. What may happen though when they open it up to developers is that local developers all over the world will be able to build locally aware apps and this was indeed part of Google’s key message at the I/O yesterday – that they consider their AI a platform they would like developers to innovate upon. I’m not sure how this will impact the success of Allo and if other apps will not catch up as this is certainly not an immediate low hanging fruit for Google. WhatsApp has a billion plus users. My friends, your family, work contacts etc… WhatsApp is therefore not only very useful because it does its technical job well, it’s where all our contacts are and this network effect makes WhatsApp very strong and hard to compete against for new apps. Allo will need a very strong reason for people to even bother trying it and the fancy fancier text, stickers, drawing on pictures and an incognito mode are all already offered or easily copyable by the popular apps. It’s sort of how Telegram has sometimes been said to be superior to WhatsApp. Or WeChat (outside Asia) better than WhatsApp. Those differences don’t matter in the face of the billion people user network that WhatsApp is. Certainly in Zimbabwe, (but also anywhere in the world now I imagine) you can easily assume that someone you meet who has a smartish phone, is on WhatsApp and this means you can start communicating with them digitally. You can’t say the same for WeChat, Telegram and even Facebook to an extent. You certainly won’t be able to say it for Allo for a very long time. Time long enough for its unique selling points to not remain so. Allo is not yet available for download, but you can pre-register here. If they integrate it ti Google Earth then they can fly past Whatsapp. Imagine the social-location aware-direction finding-checkin possibilities that could take whatsapp ages to build. More so since the world is becoming global and mobile. What stops any AI in Zim is the island of information which is not connected. From my limited knowledge of how Google works, it has web crawlers which go around and scratch information around the internet. It then uses a tuned up hadoop system to analyse and give out infor. Take your example, if a friend mentions Dembare FC, Google crawlers will be on their way looking for infor and hadoon running analytics on its hdfs servers, but does Dembare FC have a live website with current infor? Here comes the death of Hangouts. This is why Google killed some of their APIs like Google Ajax Search. Slowly they are closing some of their major APIs. In future some Google API stuff will no longer be free to *some* developers. I was hoping to see a lot of things happening at Google I/O being covered here, like the impact Instant Apps can have on local developers, TensorFlow being Open Sourced, Android N preview, etc. I’m hoping Techzim can bridge that gap. Hi good people on the internet. i just want to disagree with most people who think Allo and DUO wont work well in Zimbabwe and mostly other parts of Africa. Allo is a messaging app powered by AI (artificial Intelligence) which reads the Google algorithm PR(A)=(1-d(PR(TI)/C(TI)+…+PR(Tn)/C(Tn)) this algorithm was developed and coded into google search and will allow tones of page rankings and matching. Once more, google engine will pick every text and data processed through their carrier and build a series of haystack data that will become your search results. what does this then mean, it means that could will read every word and upload through its system and give results per location and search. well, a good example is yesterday i checked on google like this “whats the win between dynam” before i was even done typing dynamos, google picked from my typing that am in Zimbabwe and and searching the current match playing, and it gave the results 2-0. why and how.